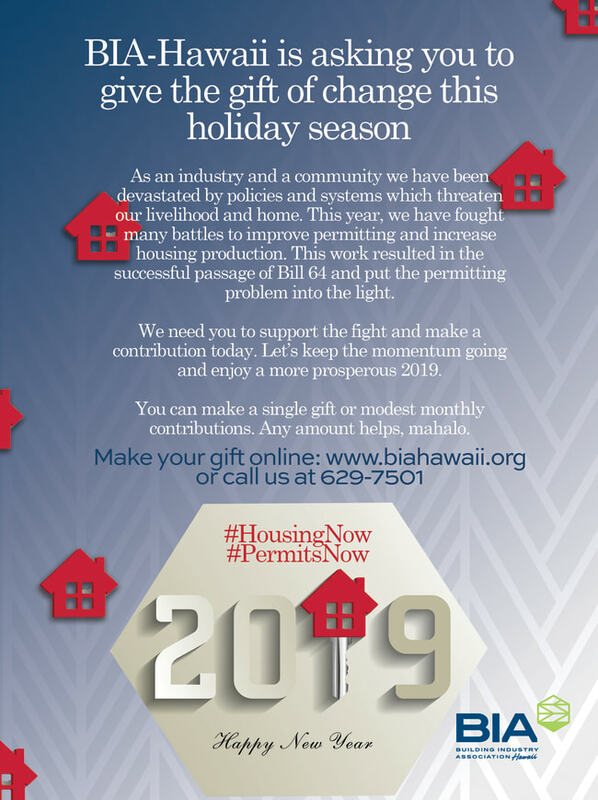 This year, we've worked really hard to make positive changes on the permitting and housing fronts. We can't do this without your financial support. We're asking you to make a donation in any amount that suits your budget before the legislative session begins. This is a critical time. We've managed to get Bill 64 passed, but there is so much more to do. We are able to do this kind of work because of your support and frankly, we need a lot more to get through. Please consider making a donation of $100 or $150. That is less than a dollar a day. Is building more housing in Hawaii and solving the problems at DPP worth the price of a lunch to you? Please make your donation and ask your friends, colleagues and co-workers to do the same. Donate here.